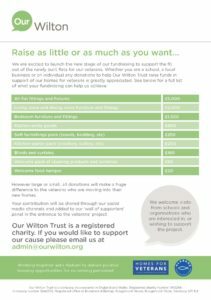 At Our Wilton Trust we have launched the next phase of our fundraising! 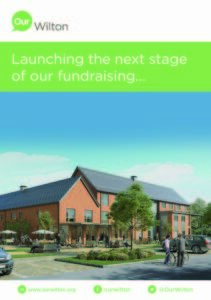 We are raising funds to fit out our flats ready for veterans to move into in Autumn 2018. With 44 flats to completely equip this is a huge goal! Veterans coming to live with us may come straight from living on the streets or from hostels or other temporary accommodation and so will have very little of their own so it is vital that we provide them with the essentials that they will need to begin their journey to independent living. We hope that schools, organisations and individuals will consider sponsoring individual packs or donating towards a pack. We would love to hear from you, please email admin@ourwilton.org for further details of how you can donate or get more information for your school or business.